When your smile is disfigured by decay, abrasion, chipping or imperfect development, an option that you should consider is porcelain veneers. 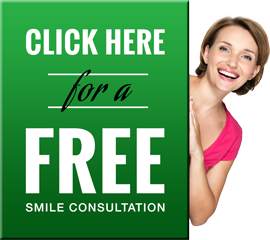 Looking to get porcelain veneers in Lansing? If you've been searching for a dentist in Lansing that focuses on veneers and cosmetic dentistry — then Dr. Gary Hubbard is the dentist for you. They are qualified cosmetic dentists who have helped many patients get the gleaming smile they've always wanted through veneers. Porcelain Veneers are a thin, semi-translucent "shell", custom made to fit precisely over an existing tooth. Because veneers are stronger than simple bonding, they are also more resistant to stains and chipping. However, it is important to maintain regular oral hygiene and the visit the dentist regularly for routine cleaning and exams. Porcelain veneers are a more conservative alternative to dental crowns since they require less removal of the tooth's original surface. With porcelain veneers in place, cosmetic dentistry patients can expect straighter and whiter teeth. During your initial visit you will discuss the process of placing porcelain veneers and the other options available. Photos and study models may be taken. On your next visit, we remove a very small layer of each tooth's outer enamel. The dentist makes a mold of the teeth and then sends it to a master ceramist who creates customized dental veneers for the teeth. Once the porcelain veneers have returned from the lab, the patient makes a final dental visit to have the veneers bonded to your teeth. If you grind or clench your teeth while you sleep, a mouth guard might be recommended to protect your teeth. Porcelain veneers are quite strong and can withstand considerable force when a patient bites down, but they may fracture or break if used inappropriately. Patients should therefore avoid hard or sharp foods such as biting ice, your fingernails or thread which cause undue stress. Dental veneers should be cared for in much the same way as normal teeth; this includes daily brushing, flossing, and periodic check-ups with a dentist. Given the proper care, porcelain veneers can preserve a smile for decades. To learn more about East Lansing dentist Dr. Gary R. Hubbard, porcelain veneers, or any of the high-quality cosmetic dental services we offer, please contact us here or call us directly at 517.332.2422.